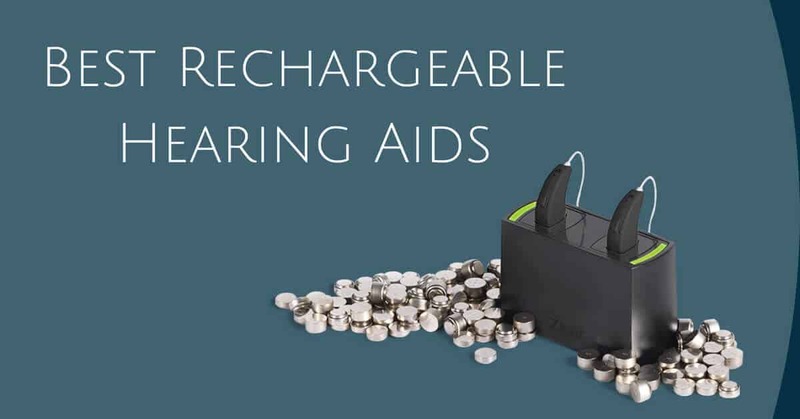 The newest generation of rechargeable hearing aids means longer battery life and a full day of use with no worries. Coweta Hearing Center can help you navigate through all your options and pick the hearing aids that are best suited for your lifestyle and needs. Starkey says its Muse iQ last 20% longer than other hearing aids on a charge and it also features fast charging. It can deliver up to 30 hours of sound on one charge. Its all-in-one charger holds enough power to provide portable charging without plugging in. It allows you to hear clearly in all types of environments and it has the capability to allow you to adjust it gradually, so you can transition from hearing loss to hearing clarity. It has wireless streaming to all mobile devices as well as TV and cell phone. It has a customizable tinnitus relief option and it is available in a completely in-ear, in the canal, completely in the canal, receiver in the canal and behind the ear models. The LiNX 3D has superior sound quality and speech recognition as well as streaming capabilities to mobile devices. ReSound offers remote fine-tuning as part of its company support. Sound processing in the LiNX 3D mimics that of the natural ear so speech seems clearer and you get a rich, vibrant tone. It has Spatial Sense technology which helps you focus on conversation or a speaker in large, loud situations. It has a “find my hearing aid” app as well as an app that allows your hearing aids to be updated remotely. It is available in all models. Beyond Z has a low power drain which allows for a long streaming time. It provides comfortable and natural sound in all listening situations and has speech understanding optimization. It has a phone app that helps you adjust sound settings and adjust your listening preferences for a certain spot. You select a picture for that certain sound preference and you can adjust your hearing aids with one tap. It is available in a receiver-in-canal and receiver-in-ear models. This is a discreet behind the ear model which is fully chargeable at night and ready to go in the morning. It automatically turns on when removed from the charger. It is suitable from mild to severe hearing loss and it allows streaming from your devices. It can be adjusted from a phone or a mini remote. The Charge&Go has Own Voice Processing so your voice sounds natural to you. Sound Clarity offers natural sound even in challenging listening situations. You can get a full day’s charge and, if needed, switch to back-up disposable batteries. But you can’t beat the convenience of rechargeable! Oticon Opn gives you a full range of hearing even in noisy areas. It offers wireless streaming to all your devices. The Opn reduces noise while enhancing speech. It comes in a receiver-in-the-ear model as well as a behind the ear model. Phonak has three rechargeable models, the Audeo B, the Bolero B and Naida B. The Phonak Sky B is for children and teens. Audeo B is tailored for first-time users. It has wireless streaming. It is offered in a behind-the-ear open fitting style. The Bolero B is available in several styles as is the Naida B. All offer listening technology that helps with listening to speech in challenging environments. Naida B has special processing to help recognize high-pitched frequency sound. The Lyric fits completely in the ear and is invisible to others. It gives you full rich sounds and it can be worn for months at a time 24 hours a day – even when exercising or showering. It is an extended wear hearing aid so when it wears outs – the tiny internal battery dies – you get a new one fitted and inserted at your provider. The benefits are you can use a phone, wear a helmet, ear phones, they don’t have to be taken out to be recharged. You get a device with the Lyric, so you can adjust it yourself, turn it off or put it on sleep mode. It can treat most forms of hearing loss. Unitron’s rechargeable models are the Stride. M R, the Moxi All R and the Moxi. FitR. The Stride is a behind the ear model. It features SoundCore which adjusts on the fly after it calibrates the users’ listening environment. The Moxi All is a receiver in the ear model. It has charge and go freedom, and charge at night and go all day. It has wireless streaming and assorted color combinations. There are rechargeable models that will fit your lifestyle and your budget. Call Coweta Hearing Clinic today to schedule a hearing evaluation and we can fit you with the model that right for you!